Naturally wheels have a tendency to feel the impact of unexpected elements while driving. Scuffs, scratches and damage happen. 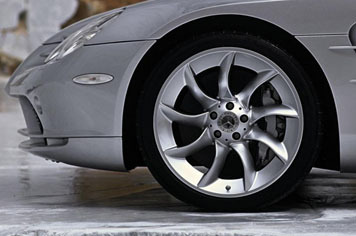 Bring in your luxury vehicle to Mercedes Benz Edmonton West and we’ll bring your rims back to their original shine. Please call our Service Department at 780-484-9000. Naturally wheels have a tendency to feel the impact of unexpected elements while driving. Scuffs, scratches and damage happen. Bring in your luxury vehicle to Mercedes Benz Edmonton West and we'll bring your rims back to their original shine. Paintless dent removal offered at a fraction of the cost of refinishing. Paintless dent repair has evolved to an art. Bring in your luxury car to bring back your vehicles flawless finish. Please call the service department at 780-484-9000.